News at Spencer Public Library: Diary of a Wimpy Kid Party! Saturday, May 18th @ 2:00 pm. 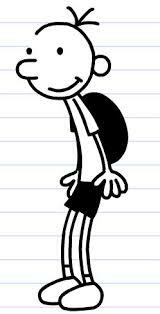 Games, crafts, and food based on the best-selling series by Jeff Kinney! Please REGISTER by stopping in (21 E 3rd St) or calling the library at 580-7290 or emailing sarahbeth@spencerlibrary.com.